Regular Cost: 2800 Euro ($3300 USD) Last minute discount of $200 off this trip price! 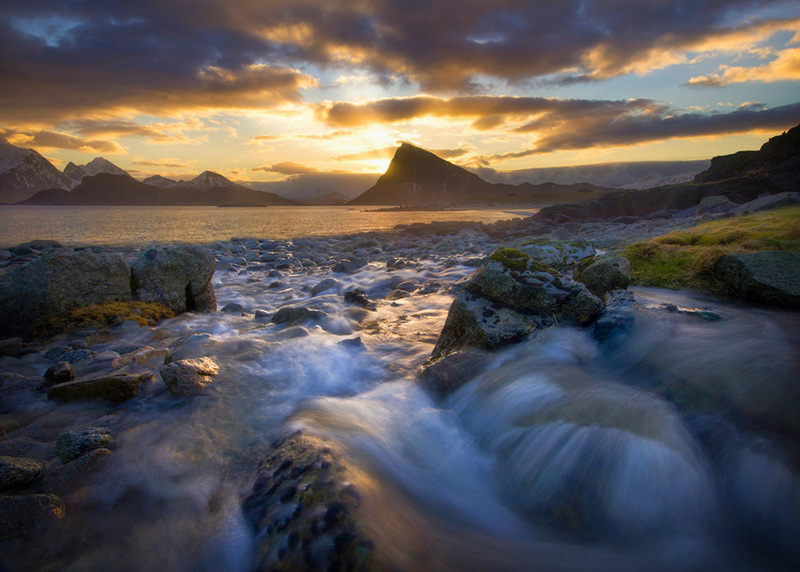 Lofoten Islands is known for its dramatic scenery, with peaks like the Svolværgeita pinnacle jutting up into the sky. Himmeltindan Mountain sits on Vestvågøya Island. 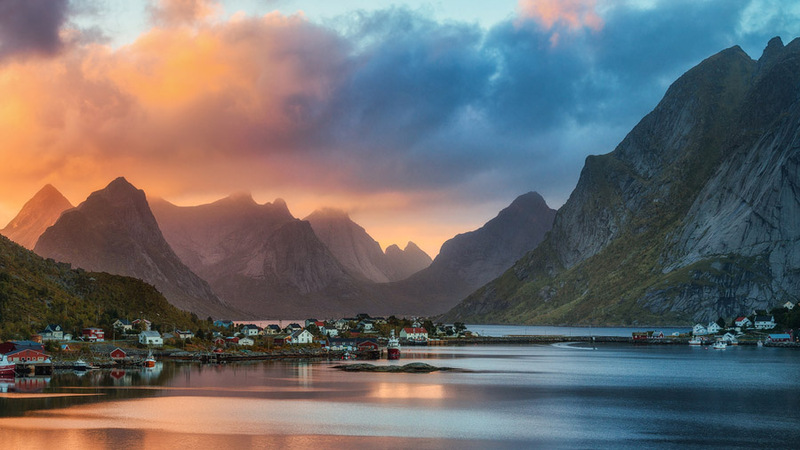 With plenty of time to do and see everything your heart desires, Lofoten has early sunrises and late sunsets during this time of year. 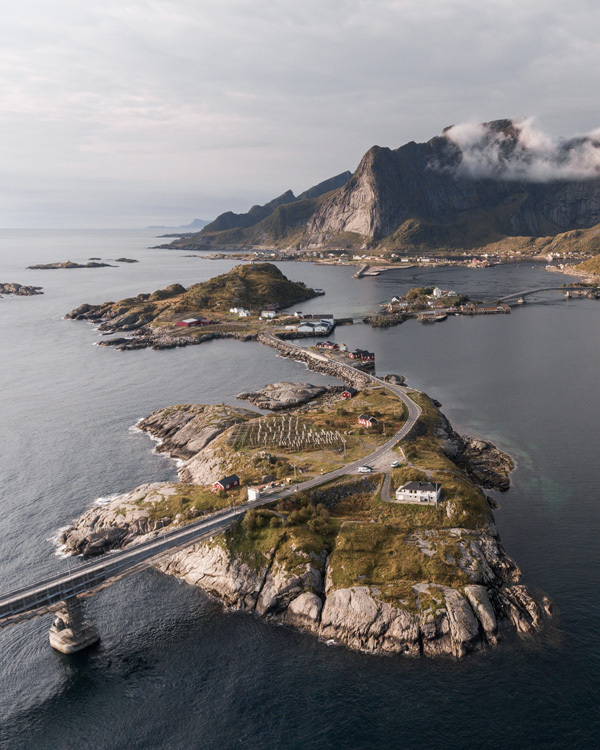 Come join us on an unforgettable adventure while capturing stunning images of Norway's distinctive scenery with intense mountains and peaks, open sea and sheltered bays, the world's largest deep water coral reef, beaches and untouched lands. 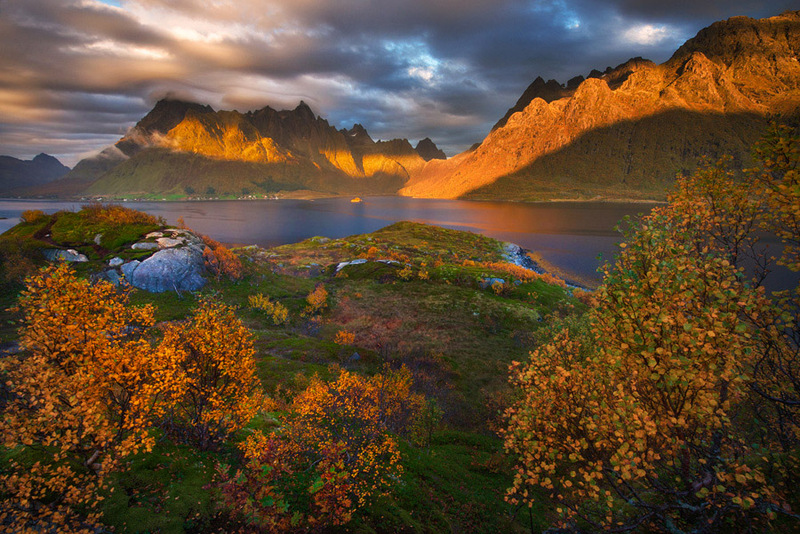 While Lofoten is an extremely popular photo workshop destination, what makes this trip one-of-a-kind is that it features a unique itinerary combining the classic and popular photographic destinations of the Lofoten Islands chain along with a couple days in the inland mountains. These inland ranges, extending up to the Swedish Abisko area, are often drier being in the rain shadow east of the coastal Norwegian mountains, and so this gives us added and improved chances of clear night skies for witnessing the Aurora Borealis. At this time of fall, the autumn color of birch shrubbery is also amazing around these majestic inland mountains. For our local co-guide, we'll have Tobias Hägg and all the experience behind the eminent Nordic photo tour company Lofoten Photo Tours. Since we are exploring the high arctic and northern Norway archipelago's, you have to be well equipped for all kinds of dramatic weather including snowfall. Bring comfortable, warm and waterproof outer layers such as Gore-tex, thermal underwear, crampons and water resistant boots, or even waders. A complete list of recommended clothes as well as camera gear will be provided. We will not have clothes or shoes available for renting. This trip is timed to coincide with autumn colors, and the chance for a snow dusting about the mountaintops. This time of year offers some of the most incredible scenes coming the reds of autumn and whites of early winter. 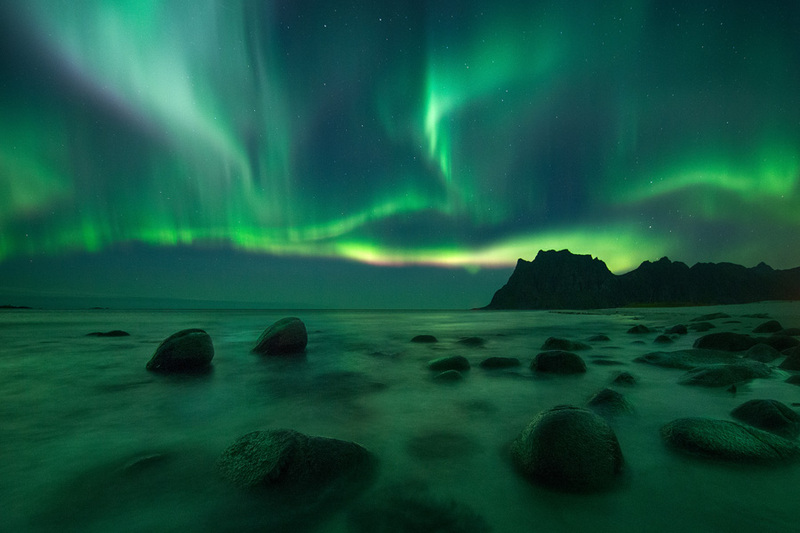 One of the highlights of the trip will be to hopefully photograph the aurora borealis over an epic mountain landscape. We will certainly do our utmost to make that happen, however can never predict weather and guarantee clear skies and brilliant displays of the this elusive phenomenon, but we will chase it for all it's worth throughout the entire week. If that means late nights and early mornings, so be it. We can all catch up on sleep after the workshop! 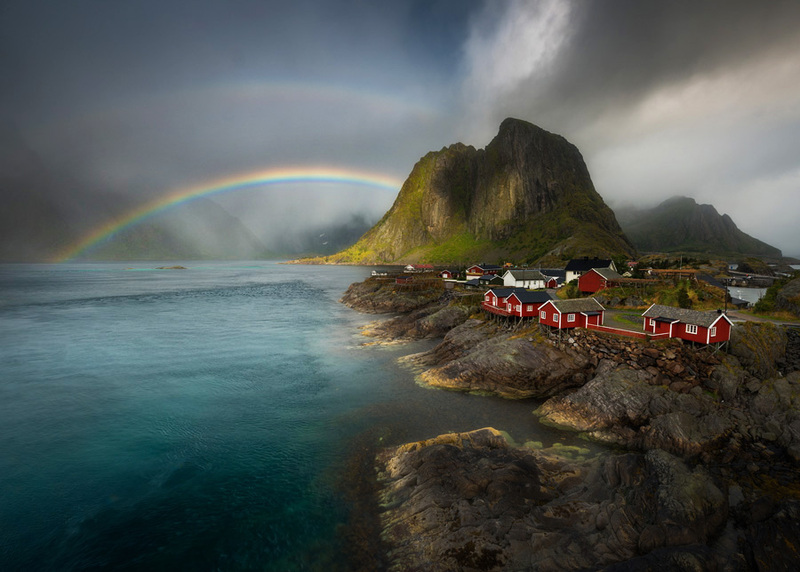 One of the main advantages of this workshop's itinerary is that we spend a couple days in the typically drier, clearer inland mountains east of the Norwegian coastal mountains, which offer a rain-shadow effect, so if we've been unlucky in the first part of the trip, we have another last chance! What does traditional fisherman seaside huts entail, and what about sleeping arrangements? For some of the nights in Lofoten Norway, we stay in picturesque red seaside fishermen's huts that are converted over to tourist accomodation cabins. This is an authinetic Norwegian accomodation style. The trip price is based upon double occupancy, which means that two people will share a bedroom. You may opt Please note that you may elect to upgrade to single room supplment for an additinal 500Euro, but in the nights we stay in the fishermen's huts, a single room does not mean that you get your own cabin, it simply means a private room with a shared bathroom and kitchen. A whole private cabin is an extra option for those who want super privacy. All cabins come with fully equipped kitchens, showers, heated floors, Wi-Fi, sheets and linens, towels etc. Eating out is expensive in Norway, and meals are not included in the trip price. For a few of the nights we'll stay conservative by preparing our own dinners in the cabins, and will shop for groceries throughout the week. For those who are not keen on preparing their own food, there are restaurants on site that can cater to your wishes. The guides will provide guidance on the best options, balancing cost vs. convenience vs. time. A detailed list of recommendations will be emailed to your signups. The importance of good quality gear should be emphasized, while being careful not to overspend. Renting camera and lenses is also an affordable option. The easiest way to travel to the Lofoten archipelago is via Oslo Gardermoen airport (OSL code). From there you can fly to Harstad/Narvik Evenes airport (EVE code) where our tour starts and ends. Trip start and end is EVE airport. This tour is open to digital photographers of all skill levels. Our only criteria is that you have a great passion for photography, and have the energy and motivation to be on the go each day and night. Reasonable healthiness is important for you to get the most out of this trip, although we don't expect to do anything too strenuous. If you have additional questions, the trip leader will be happy to answer them over the phone or by email. Final Payment: The final payment for the balance due on the trip (after your paid deposit), is due one week prior to the trip start. Payment options include bank transfer (details on request), cash in person at the trip start (with prior permission), personal or bank checks (preferred for USA and Canada clients), and credit cards (a 2% credit card fee will be added for final payments with card). Accommodation for 7 nights. Accommodation will be chosen based on optimal locations to photograph, and will vary including authentic Norwegian seaside cabins, and hotels. Prices are based on double occupancy -- optional single supplement may be available for an added fee of EU 500. Dinners. We will still eat as a group at some restaurants, and self-cater on some nights at our cabins independently, to keep our costs down. Expect to budget $50/nt/person on average for meals, more at restaurants and less when self-catering. 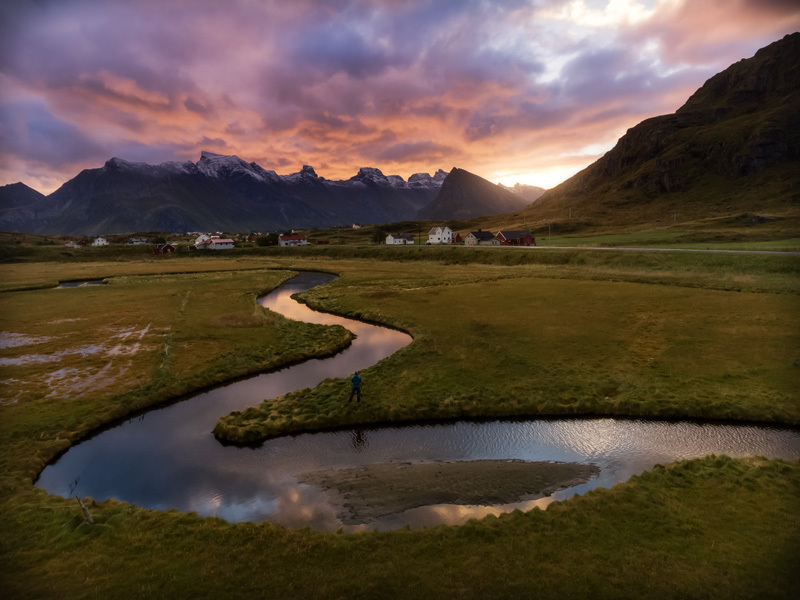 Johnathan Esper of Wildernesscapes Photography LLC, based in the USA, and Norwegian photographer Tobias Hägg are the trip's two photographic and location guides. 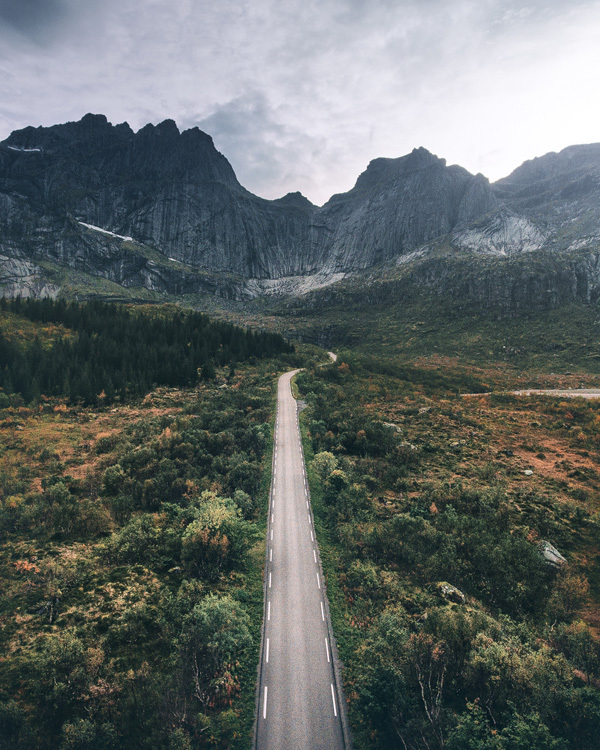 Tobias Hägg is a landscape photographer probably best known as Airpixels on social media. 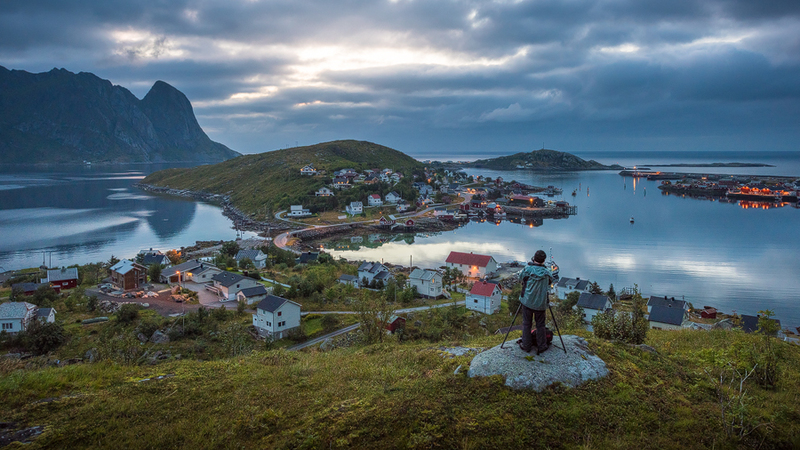 Tobias Hägg brings with him all the experience behind the regions's eminent Nordic photo tour company Lofoten Photo Tours. Tobias is an official ambassador for the outdoor brand Fjällräven and a National Geographic-published Swedish photographer whose heart lies within nature, striving for perfection in all his work and a unique perspective of life. Johnathan is a full time photographer and highly experienced international photo trip leader having led over 70+ successful workshops and tours around the world in Iceland, Greenland, Faroe Islands, Cuba, and the Adirondack Mountains. Every trip so far has been an incredible, immersive, and adventuresome experience for the participants as they delve into capturing intentional and classic landscape photography while exploring the country.